Arif Khan is the nominated Director of IDLC Asset Management Ltd. from IDLC Finance Limited. He has joined IDLC Finance Limited on March 01, 2016 as CEO & Managing Director. Mr. Khan completed his Masters in Finance & Banking from University of Dhaka. He also completed his MBA, major in finance, from IBA. He is a CFA charter holder and also a Fellow member of the Institute of Cost and Management Accountants of Bangladesh (FCMA).He started his career with AB Bank Limited as Probationary Officer in 1991. Prior joining IDLC, he was the 'Commissioner' of Bangladesh Securities and Exchange Commission till January 31, 2016. He has around 24 years of experience, out of which around 15 years with IDLC and has experience for brief periods with Institutions like BAT, Beximco Fisheries & Zenith Investments Limited. While leaving IDLC Finance Ltd. in December 2010, Mr. Khan was the Deputy Managing Director of the Company. Mir Tariquzzaman is the nominated Director of IDLC Asset Management Ltd. from IDLC Finance Limited. He has been in the role of General Manager and Chief Technology Officer of IDLC Finance Ltd. since July 2007. He joined IDLC Finance Ltd. in April 1995 as Management Trainee. He was responsible for establishing and managing a dynamic IT Infrastructure of IDLC Group. He has completed Master of Business Administration (MBA) from the Institute of Business Administration (IBA), University of Dhaka. Syed Javed Noor is the shareholding Director of IDLC Asset Management Ltd. He has joined IDLC Finance Limited as General Manager & Head of Consumer Division on June 23, 2016. Mr. Javed completed his MBA (Finance) from Institute of Business Administration, University of Dhaka. He started his career at Southeast Bank Limited as Management Trainee in August 2000. Prior to joining IDLC, he was the Head of Global Trade and Receivable Finance in HSBC, Bangladesh. He served at HSBC since August 2006. He has around 16 years of experience in the institutions like Standard Chartered Bank & IDLC Finance Limited, at various capacities. Md Masud K Majumder is the nominated Director of IDLC Asset Management Limited from IDLC Finance Limited. He plays the role of Chief Financial Officer of IDLC Finance Ltd. He joined IDLC Finance Limited on August 30, 2006 as Manager in Accounts and Taxation Department. Prior to that, he worked in KPMG, Rahman Rahman Huq, Chartered Accountants as audit supervisor. Mr. Majumder completed his Bachelor of Commerce (Honours) and Masters in Finance from University of Dhaka. He is an Associate Chartered Accountants (ACA) and member of the Institute of Chartered Accountants of Bangladesh (ICAB). Rajib Kumar Dey has assumed the responsibility of Managing Director of IDLC Asset Management Ltd. since January 01, 2016. He joined IDLC Finance Ltd. as a Management Trainee on February 10, 2004 and was heading the treasury department before moving to the capital market operation of IDLC Group in July 2010 as Head of Research at IDLC Investments Ltd. From 2012, he was assigned with managing own investments of IDLC Group as Head of Proprietary Desk. Rajib has a very successful track record of fund management during last five years in a bearish market and outperformed the market consistently across five years, three years and one year horizon. He has managed fund to the tune of BDT 150.00 cr. (Taka One Hundred and Fifty crore). He completed Master of Business Administration (MBA) with a major in Finance from Institute of Business Administration (IBA) under University of Dhaka after completing his graduation from Finance & Banking Department under University of Dhaka. He is also enrolled under Chartered Financial Analyst (CFA) program of CFA Institute, USA and has passed Level II. Md. Itrat Hossain is in the portfolio management team of IDLC Asset Management Limited, leading the investment analysis activities of the team to identify potential investment opportunities. Mr. Hossain has amassed 4 years worth of experience in conducting sector analysis and equity coverage on scrips listed in Fuel & Power, Pharmaceuticals & Chemicals, Textile, Tannery sectors and the Mutual Funds industry within the designated coverage universe. Mr. Hossain passed Level III of the CFA Program in 2015 and is awaiting charter. He completed Bachelor of Business Administration (BBA) program from Department of Finance, University of Dhaka. Md. Arman Chy. Nayan is in the portfolio management team of IDLC Asset Management Limited, responsible for the investment analysis activities to identify potential investment opportunities. Mr. Nayan has more than 4 years of experience in conducting sector analysis and equity research. He is specialized in Bank, NBFI, Cement and Engineering sector. Mr. Nayan is pursuing the CFA charter and passed Level II of the CFA Program in 2015. He completed Bachelor of Business Administration (BBA) program from Department of Finance, University of Dhaka. Kazi Umme Sumaiya is associated with IDLC Asset Management Limited as an Investment Analyst since July, 2016. She actively covers the listed companies under Cement and Engineering sectors. Her research focus also includes listed Oil companies and Telecommunication sector. She started her career with IDLC Investments Limited as a research analyst in 2015. Ms. Sumaiya is pursuing CFA charter and passed Level I of CFA Program in 2016. 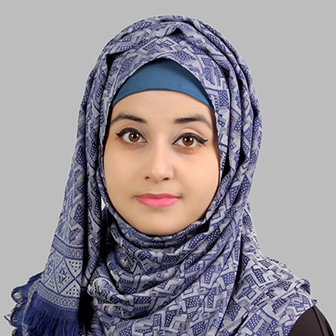 She received her Masters of Business Administration (MBA) and Bachelor of Business Administration (BBA) from Department of Finance, University of Dhaka.